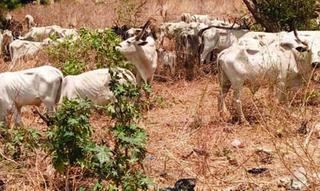 The Kaduna State Police Command on Saturday said it had recovered 61 cattle at the Kwanar Ugara area of the Buruku-Kaduna Road in the Chikum Local Government Area of the state that were suspected to have been stolen. The state Commissioner of Police, Malam Ahmad Abdurrahaman, told newsmen in Kaduna that a police patrol team on February 27 sighted the herd of cattle without a shepherd and suspected they might have been stolen. Abdurrahaman also said on February 19, the 453 Base Service Group, Nigerian Air Force, Kaduna, handed over 57 livestock that were recovered on February 12. “Out of the 57 livestock, 17 cows have been identified by seven owners who have satisfied legal requirements,” he said. The police commissioner assured Kaduna residents of the command’s commitment to rid the state of any form of criminality and protect lives and properties.